In the early days of cable television, the goal of premium networks like HBO and Showtime was to air content developed by other companies. Specifically, these systems wanted to air movies and very little else. But as time went on, things began to evolve. The prices the channels were paying for access to the movies meant they had to air multiple times to justify their cost. That led to a certain amount of viewer fatigue; most people only wanted to watch “The Fugitive” a few times, and when it was airing constantly, the remote control led viewers elsewhere. The cost of home video and its quality also changed. Cheap movie rentals and later, online services like Netflix, gave all the quality and much greater flexibility to home viewers. So cable began to see the writing on the wall, and premium channels began to develop original programming. At first it was special events like Showtime’s boxing events and HBO’s stand-up comedians. 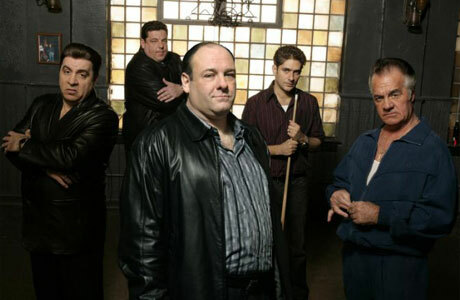 But before long, the programming came to include original series like “The Sopranos” and “Rescue Me”. This transition completely reinvented the landscape. Instead of being seen as a high-dollar way of watching things that were essentially reruns from theaters, these networks were now becoming known as creators. They were the source, not just the supplier. The immense popularity of these shows has revolutionized television. Satellite TV services are now carrying multiple channels within each of the premium networks’ families, putting forth a large amount of programming that would have never been imagined 20 years ago. The more popular new entertainment becomes, the faster you can fall out of touch if you don’t tune in yourself. You will be the oddball at the water cooler, the clueless tweeter, the off-topic TV viewer. You’ll have no idea why Emilia Clarke was chosen as sexiest woman alive. In short, if you are talking about reruns of “Lost” when everybody else is talking “Veep”, you will be, well, lost. That wasn’t a problem 20 years ago, when you were just as in tune if you’d seen “Forrest Gump” in the theater as you were if you first caught it on cable. But it isn’t just about being slick with the zeitgeist and understanding the jokes and memes. These shows are everywhere because they are good. They are well-acted, well-written, and feature amazing special effects. They don’t have to write around network censors or stiff corporate suits. They have amazing latitude in the stories that they tell and the way in which they tell them. They don’t make some of the funny blunders that Hollywood releases make, because their creators are typically a little more universal in their backgrounds with experience in film, stage, television, and music. And that brings us back around to perhaps the whole point of watching original cable programming. Film actors, musicians, and television personalities often emerge on these shows, bouncing among mediums and from behind the camera to in front of it. Maintaining a complete awareness of your favorite performers’ paths is impossible without catching their sneaky little cable projects in between movie appearances and album releases. If you want a complete picture of what your favorite performers are doing, premium cable channels are a must. Every cameo, every supporting role, and every musical performance will be available, and you’ll never miss a chance to watch him or her work. interesting but i dont really care if im current on my “water cooler”talk.But im sure theres an audience for it.